April 23, 2016 marked the 24th day for us in the hospital. I was in the bathroom giving myself a pep talk and when I came out, Dr. Villa was standing in the doorway with a box of tissues. I assumed something was terribly wrong. He sat down, and with a tear in his eye and told me we had a heart. From that moment on, our donor and their family have been in my thoughts and prayers every day. My husband Todd and I have been married for almost 18 years and have 3 children, Kyle, 16, Evan, 14, and Reese, our superstar, who turned 2 in November, 2016. I knew when I found out I was pregnant with Reese that I was having a girl and she was going to have quite an impact on our lives. 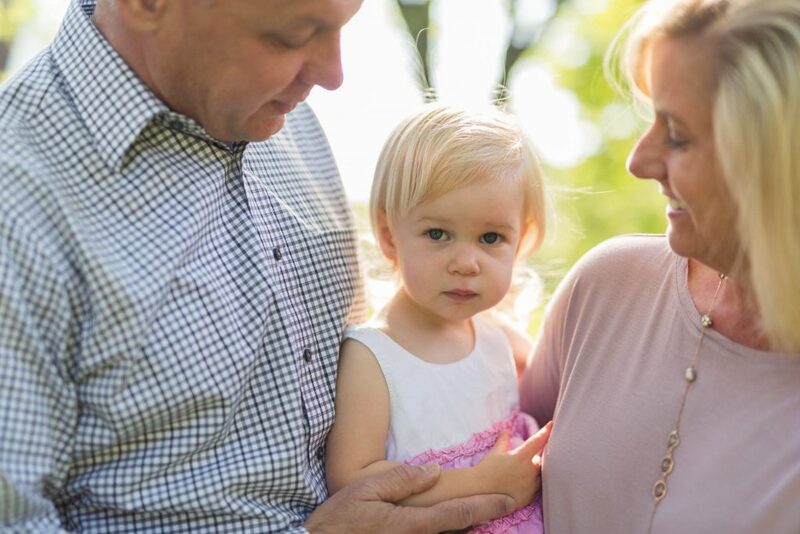 Reese was a healthy, happy baby until around 12 months she began eating less and sleeping more. Reese came down with a stomach bug and with the suggestion from her doctor, I brought her to the emergency room. I thought she would get fluids and we would be on our way. Instead we were admitted to the hospital. The doctors discovered that Reese was suffering from Restrictive Cardiomyopathy and had a blood clot. That evening we were moved to the CICU and were told that a heart transplant was her only chance of survival. On April 8, she was put on the transplant list as a 1A status, the highest priority. The days following were painful and scary. I had doubts of being able to care for her at home, what her life would be like, and how long her tiny, sick, little body could wait for a heart. It was also difficult to pray for a miracle knowing a family was going to lose their precious child for mine to be saved. Our miracle happened 18 days later, Reese got her new heart. She was and still is a trooper and my hero. Dr. Bryant and his wonderful team saved our baby and we are forever grateful. Reese is such a joy. I know she will never take this gift for granted.